Tea connoisseurs rejoice! Brewing the perfect cup of tea has never been easier thanks to the innovative design of Breville's One-Touch Tea Maker. While I can appreciate a good cup of tea as much as the next person, my knowledge of brew times and temperature requirements for different types of tea is somewhat lacking. Even if they are listed on the tea canister, I wouldn't know how to achieve the right temperature. And do I really have the patience to hover over my pot of tea while it steeps for the correct amount of time? Certainly not. The Breville One-Touch Tea Maker takes the frustration and guess work out of steeping various types tea. The secret lies in the fully automated magnetic tea basket that lowers into the water once it reaches the ideal temperature. Simply fill the kettle with the necessary amount of water and use the accompanying measuring spoon to scoop your loose tea in the basket, replace the basket lid and return it to the kettle where it connects magnetically. Select from five pre‐programmed tea settings: green, black, white, oolong and herbal teas. A “custom” button allows users the option to select their own unique temperature and steeping time and you can also indicate your preference for a strong, medium or mild tea. Once the water has reached the ideal temperature, the basket silently cycles in and out of immersion, gently agitating the leaves for a precise tea infusion. When the tea is ready, it brings the basket back up so you never risk over-steeping your tea. 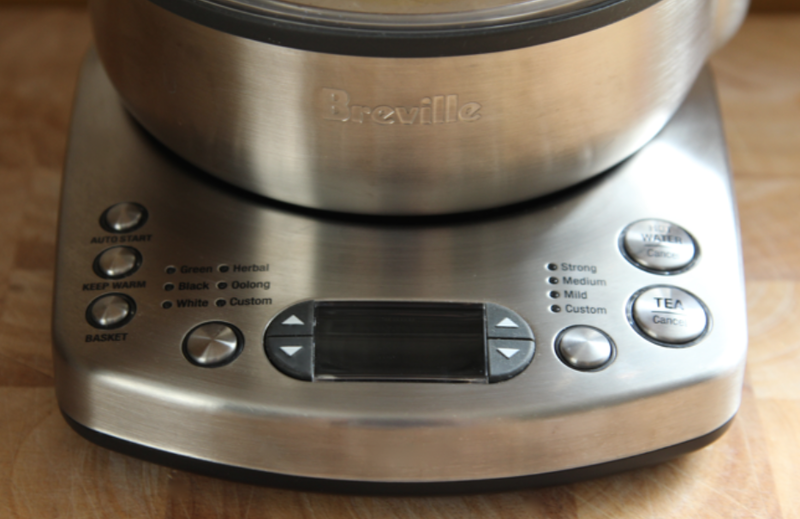 The Breville Tea Maker also has a ‘kettle’ mode that allows it to function as a variable temperature kettle without the basket. I use this function often when preparing French-pressed coffee. It has an LCD screen will display the brew time and temperature as well as a Keep Warm feature which will maintain the temperature for one hour. Tip: During the Keep Warm cycle, the tea will continue to steep so may want to consider reducing the initial tea strength and brew time by using the arrow buttons on either side of the display. Wake up to the aroma of freshly brewed tea with the Auto Start feature. Set the clock to the current time and then select your preferred auto start time. The one-minute increments make this a bit of a tedious task but once it's set, you're good to go. I also love the German-made Schott glass kettle. It is durable and stain resistant. The Breville Tea Maker comes with a hefty price tag of $299.99 but considering the price you pay for quality loose teas, I believe the technology behind the design and the ease of use is well worth it. As always, keep an eye for Breville appliances on sale. What's your favourite kind of tea? This is an awesome little machine! I enjoy a good cup of tea many times during the day, so this would be perfect for me! Isn't it smart? They thought of everything. This is definitely an item to include on your holiday wish list. It definitely is. 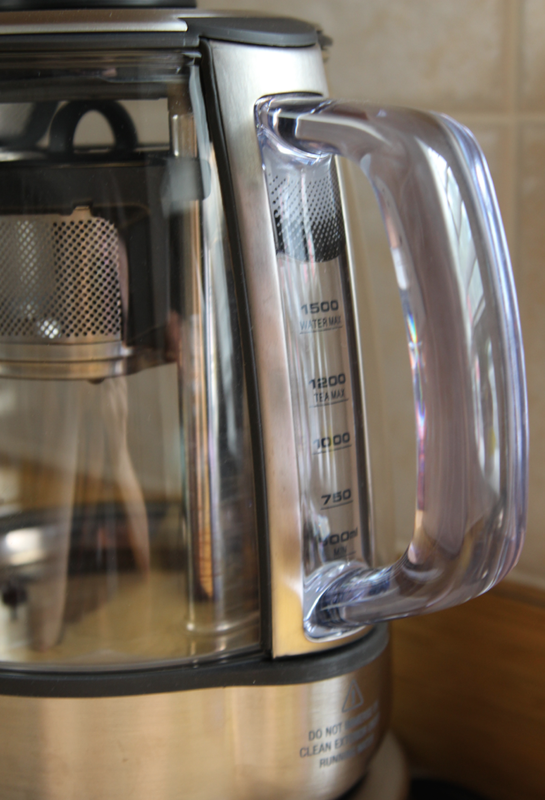 And it's great for boiling water when making French-pressed coffee as well. 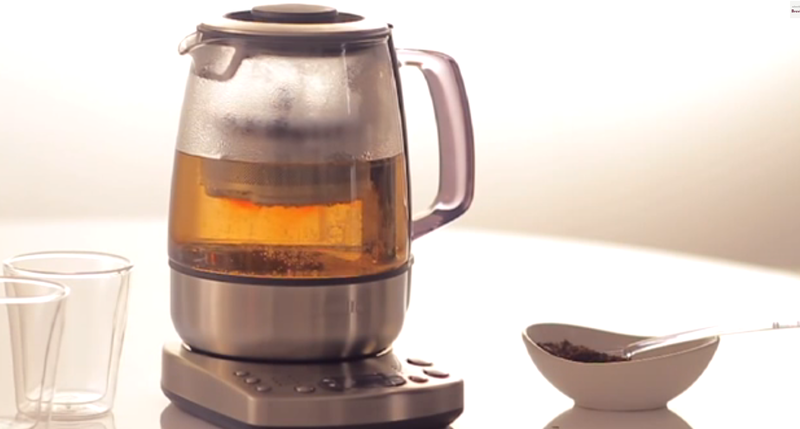 Would love to own this tea maker! This is so nice! I would love one...hint, hint to my hubby! Looks great on the kitchen counter, too! I think I need one of these!! If you really love tea, then I'd say yes you do. Oh that's the cadillac of tea kettles!! I would so love to get this for my Mom. That's a great description for it, Darlene! Wow! 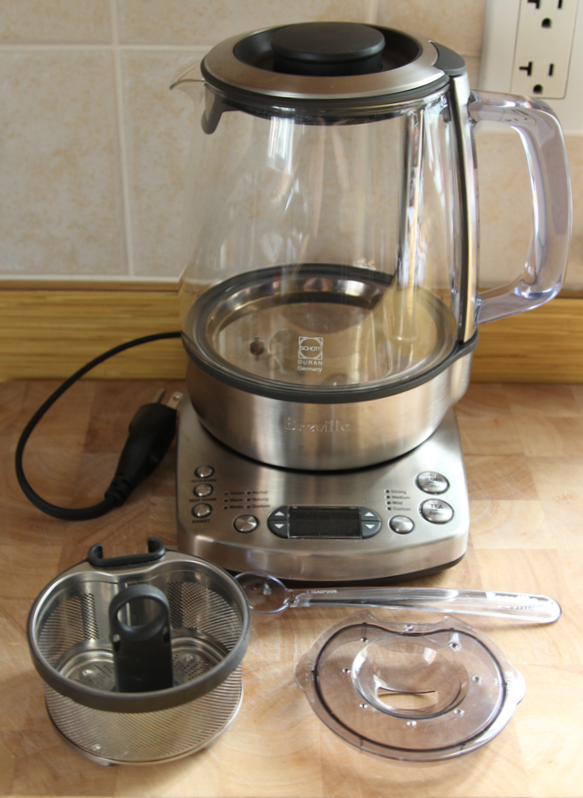 Now that is a kettle, I really want one now, thanks for the info and a great review! Thanks, Doris! Maybe Santa will be extra kind to you this year. Fingers crossed! This is awesome, I would probably drink more tea if I had this kettle, very nice!!! Funny you should mention it, Lynda. I find I'm drinking more tea now, too. This sounds like an awesome tea maker. I like the idea of the settings that make the perfect cup of tea, whatever it may be. Just watching the basket drop into the water makes me wonder how on earth they came up with the idea. I would love to have this in my kitchen! I'm a huge fan of tea. Isn't it funny how as you mature you find different sensitivities to things - just discovered mine is *caffeine* - being a coffee lover this is somewhat of a huge challenge for a lifestyle change. Time to replace the coffee machine for an appliance like this. Bought my first box of decaffeinated Tea - let's see how that goes. Life is change so time to put in the effort. Hope I never find out that I have an aversion for shopping for Tee Shirts *lol*.